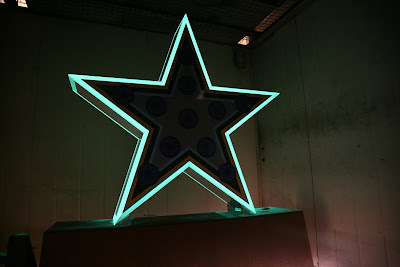 My first public art commission has now been finished. 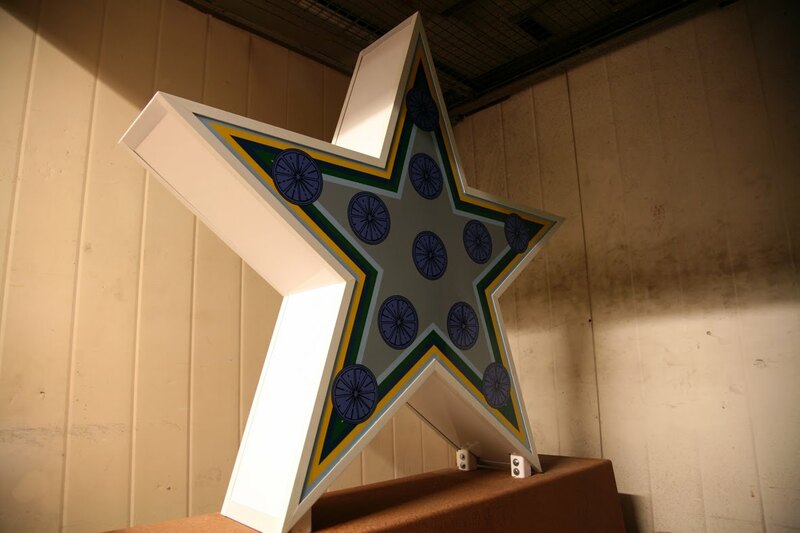 The enamel star entitled You Will Have Dignity If You Come Here, is waiting in storage until the groundworks are completed at the Futures College in Southend ready for installation of the piece. This will take place in the coming month or two. 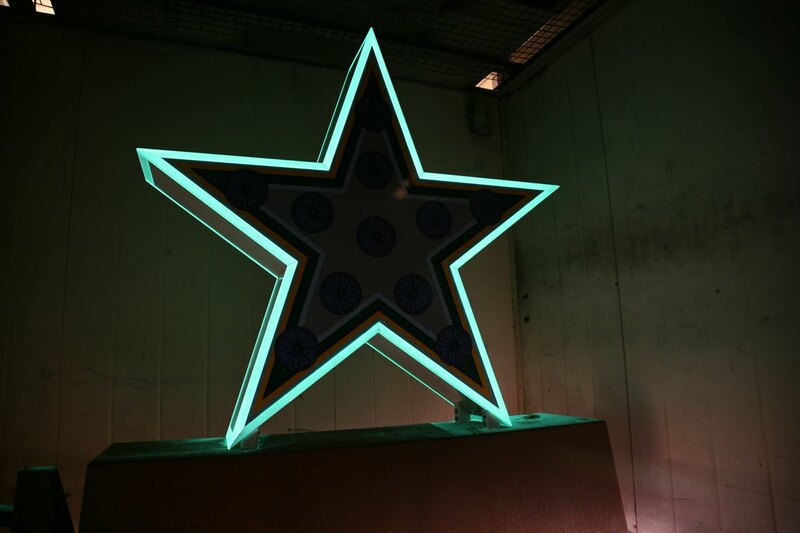 Here are two images of the star in storage, one in the daylight and one in the dark. Photographs are courtesy of AJ Wells.